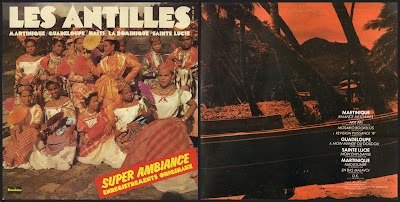 Our crew hope you enjoyed the stay in the Antilles. 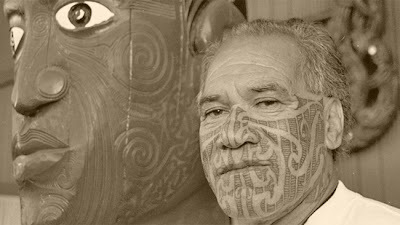 Today, we arrive in New Zealand and guess what? 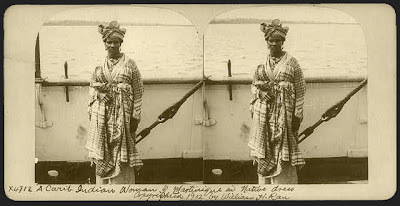 It seems like we're not the first to arrive here. 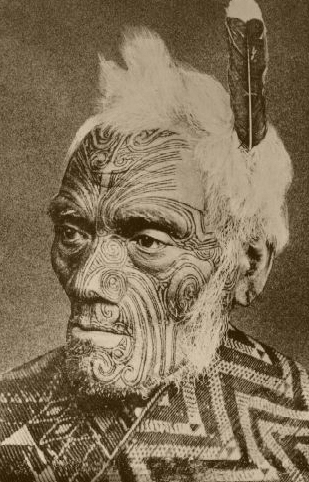 About 650 years ago, the Maori people arrived here after a long boat trip, all the way from the Hawaiian islands (while some others prefered to stay in Tahiti or other south Pacific islands). 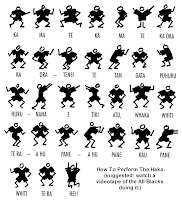 Even if the Te Aute Maori Club are nice people they welcome us today with some powerfull (yet scary) Haka war dances and agressive loud vocals. 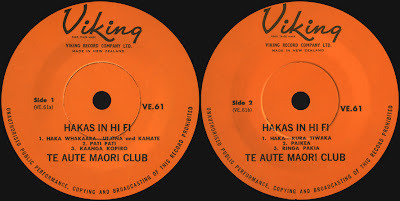 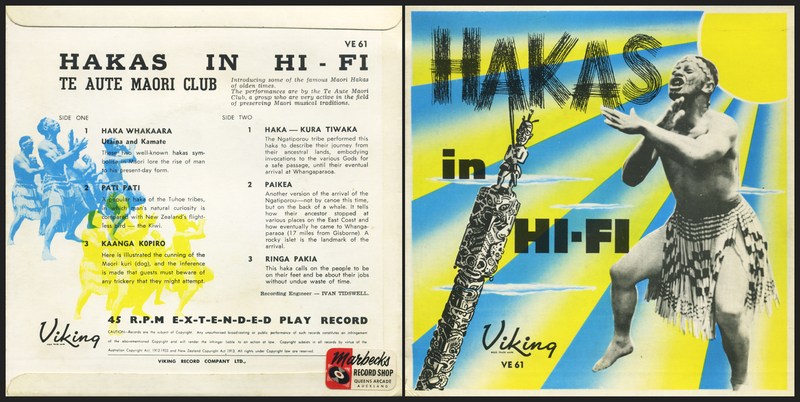 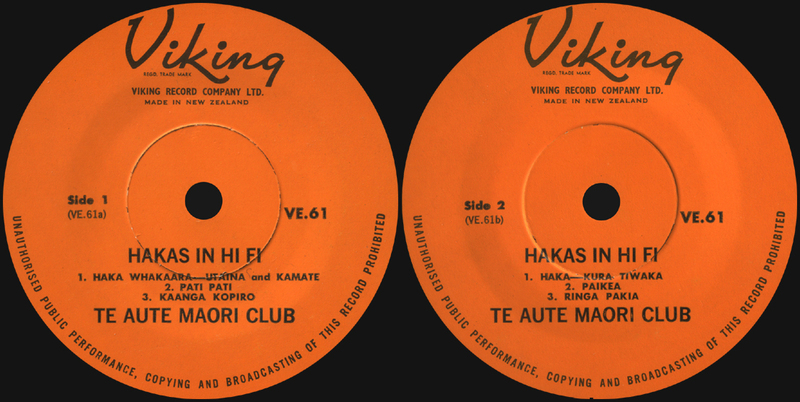 HAKAS IN HI-FI (Viking records VE61 from the mid 60's) is a good way to start our journey in new Zealand's traditionnal and folk music with probably the most famous traditionnal dance worldwide because of the famous All Blacks rugby players who keep their traditions of glorious Maori warriors. On this trip, we'll mostly get some Viking records productions. 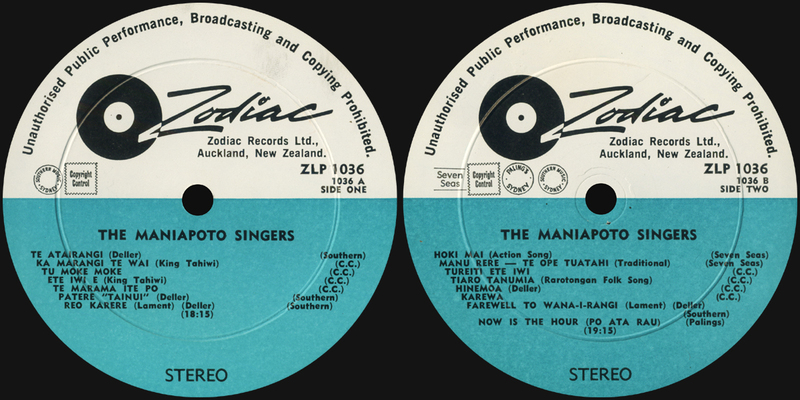 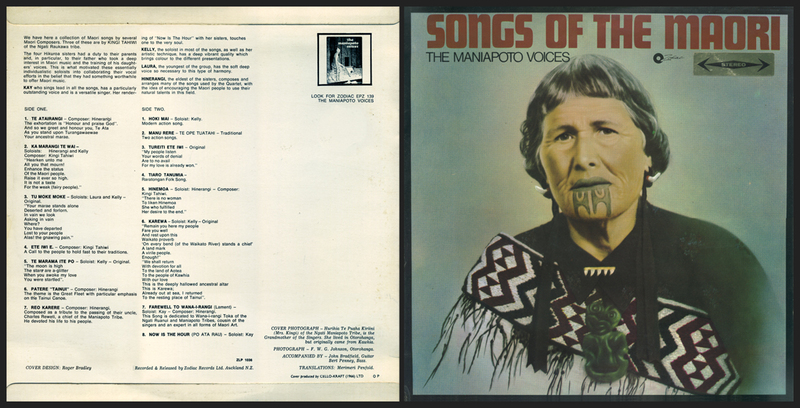 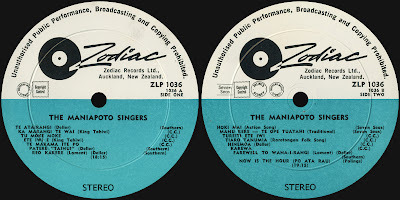 They did a pretty good job to promote the polynesian and maori cultures since the late 50's with a serious amount of editions and re-editions (of Tahitian records) in New Zeland and Australia. 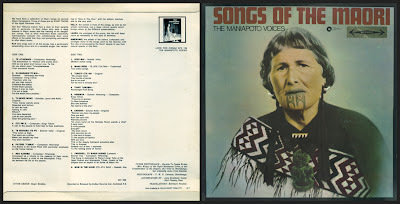 We'll get some traditionnal games songs, some very sweet folk songs and we'll also visit a local church to enjoy some women choir... A great program for the next few weeks! The program for today: Costumes, parade, huge crowd and off course music with the steel orchestra TRINIDAD CAVALIERS "SOUVENIR ALBUM" (Calypan 008 [PRP 156] 1971). 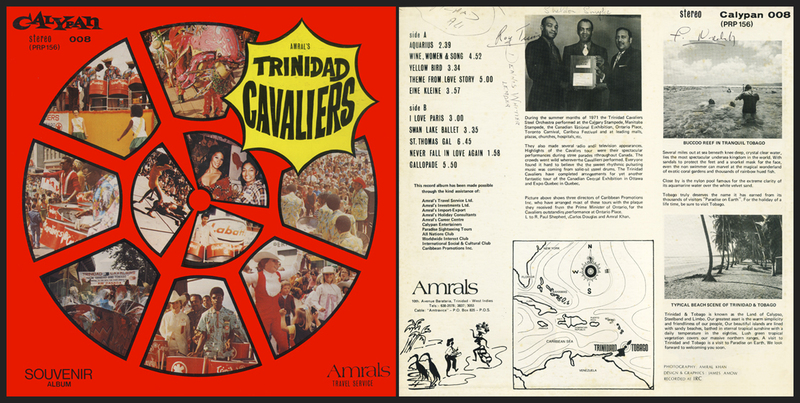 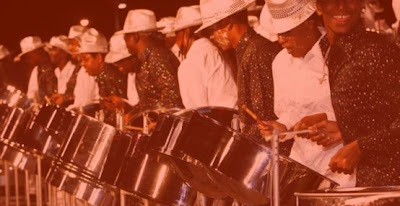 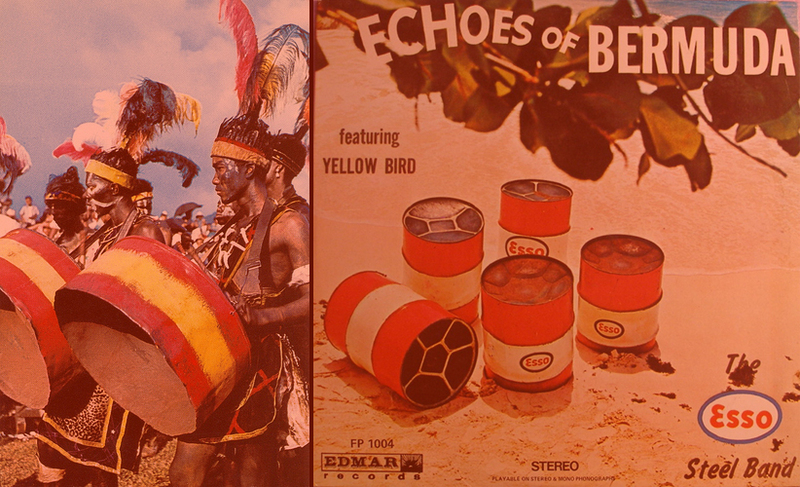 The record we got here is steelband music from Trinidad recorded in the early seventies by the Trinidad Cavaliers to promote the carnival during a tour of the band in Canada. 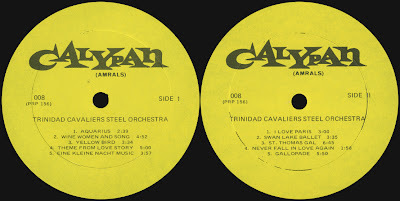 The cover is pretty great, including many photos of the band with the party atmosphere and also reminding the shape of a steel drum. It seems like you enjoyed our first 2 weeks around... Today, we'll continue our little visit of the Caribbean islands, focucing more on the music from Martinique. 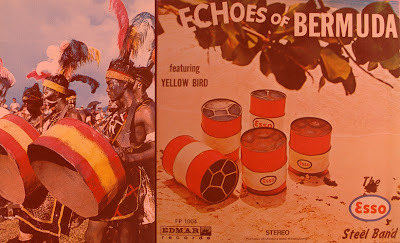 Not much more things to add that would not be an echo from last time... 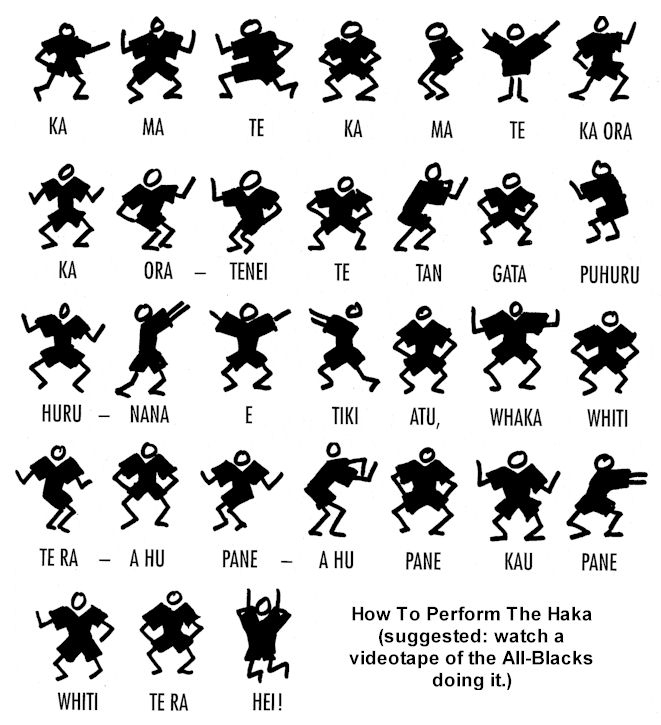 So, less blah blah, more cha cha! 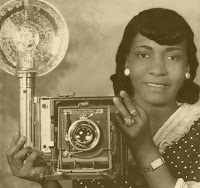 Today again, get ready to dance with some spicy 70's tunes from Guadeloupe, Saint Lucia and for the biggest part: Martinique (7 songs out of 9). 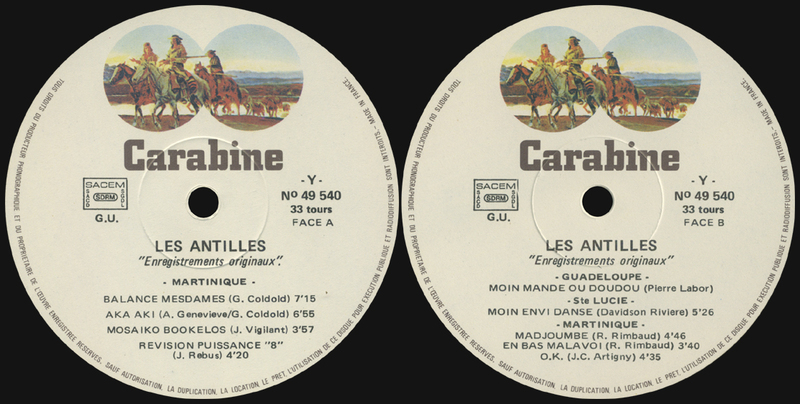 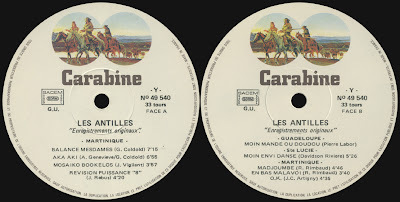 LES ANTILLES (Carabine 49540 from 1976, second Lp of a 2 Lp's set) is a great occasion to continue the party!